The 2016-17 Careers Beyond Academia Series is co-sponsored by the Office of Postdoctoral Services, The Graduate School, and the Career Center. The analytical research skills that graduate students and postdocs develop can be applied to careers in finance and business. This panel will highlight how your experiences can be leveraged for these career paths. The panelists will share how they transitioned from STEM disciplines into their current roles, how they found these jobs, and steps that current graduate students and postdocs can take to learn more and prepare for careers in financial roles. If you enjoy explaining science to audiences beyond the colleagues in your immediate discipline, possess excellent communication skills, and have a drive to share science with the wider world, then you may be interested in a career in science writing. Join our panel discussion to learn how to build a portfolio, gain experience, and sell your science writing skills to potential employers. How do you communicate complicated research to audiences with diverse backgrounds? And how can you build a career around this type of work? Science writing is an impactful transferable skill for many fields including academia, industry R&D, and journalism. During this workshop, attendees will discuss common problems in writing, learn about structuring a magazine article, and receive hands-on experience with how to approach journalistic writing. SPEAKER: Fenella Saunders is Managing Editor of American Scientist, a magazine produced by Sigma Xi, The Scientific Research Society. She has previous experience in science writing and editing with Discover Magazine and the NYU School of Medicine’s magazine, NYU Physician. Fenella has also freelanced for Popular Mechanics, Scholastic, The Learning Channel, and The Discovery Channel. She earned a bachelor’s degree in computer science (Duke) and a master’s degree in psychology and animal behavior (Hunter College). Are you interested in a career where you learn about science and engineering but you don’t perform experiments? Careers in intellectual property (IP) allow you to tap into your areas of expertise in order to determine how novel ideas or prototypes can have broader impact. Our panel will highlight the diversity of careers in IP, including university technology transfer offices, law firms specializing in patents, and companies in industry that manage their own IP. The panelists will answer questions about why they chose their career paths, how they found their jobs, and steps that current graduate students and postdocs can take to prepare for careers in IP. WHERE: Location provided upon registration. Back by popular demand! The Office of Postdoctoral Services welcomes Dara Wilson-Grant, who will present her highly-rated workshop on how to choose the right career. This workshop will help postdocs understand what makes a career the right or wrong fit, and provide them with a framework for choosing a rewarding career path. Through a series of self-assessments and small group activities, participants will have an opportunity to identify and explore key factors that contribute to career satisfaction. This is an ideal workshop for postdocs and graduate students who are contemplating a career change or looking to further clarify their career direction. Class size is limited to 25 participants to facilitate small group discussion. Registrants must be postdocs and graduate students in the sciences and engineering (a separate workshop will be held for postdocs and graduate students in the social sciences and humanities on Weds Oct 5; see following section for details). Because space is limited, please do not register unless you are sure you can attend. Those who register but fail to attend will have a $100 course fee assessed to their PI/lab. In this free online panel discussion, panelists are ABDs and PhDs from STEM fields who have made the transition to careers in medical writing. Panelists introduce themselves on Monday and take questions all week. You can interact with panelists through the discussion forum or follow the conversation via email. All questions welcome, from the most general to the very specific. 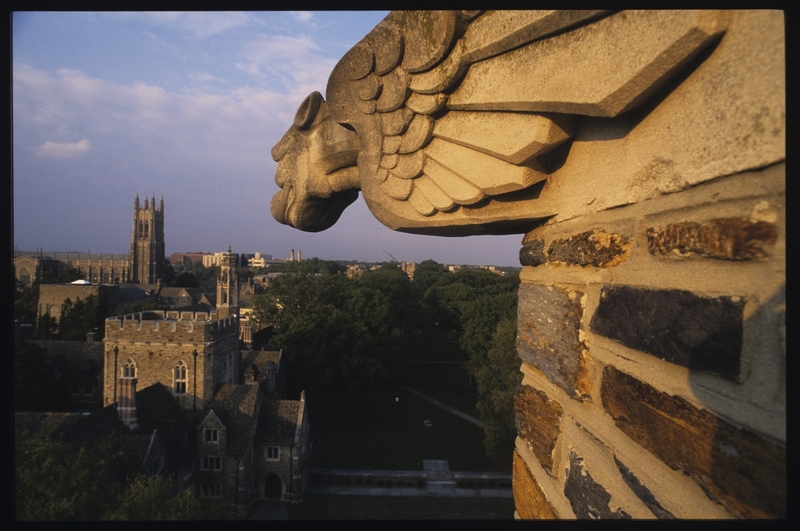 Duke’s subscription to The Versatile PhD is sponsored by The Graduate School. Registration at Versatile PhD is free and can be anonymous; use your Duke NetID upon registration to access subscriber-only content. A common question asked by postdocs and graduate students preparing to compete in the non-academic job market is, “How do I prove that I am qualified, even though I do not have industry experience?” The key is learning how to translate your graduate education and postdoctoral training into a language that is understood beyond academia. Dara Wilson-Grant will help postdocs and students identify their core strengths and learn specific strategies for communicating their skills and experience to a broad audience via the cover letter and resume. Participants will also gain insight into the skills and personal traits most desired by employers. Class size is limited to 25 participants to facilitate small group discussion. Registrants must be postdocs and graduate students in the sciences and engineering (a separate workshop will be held for trainees in the social sciences and humanities on Weds Oct 26; see following section for details). Because space is limited, please do not register unless you are sure you can attend. Those who register but fail to attend will have a $100 course fee assessed to their PI/lab. APPLICATION INSTRUCTIONS: Email a bio and brief statement explaining why you are interested in this course (no more than 2 pages total) to molly.starback@duke.edu and shraddhard@gmail.com. Class size limited to 20; please do not apply unless you can commit to attending all of the sessions! Deadline to apply: Mon Oct 24, 12 noon. In this short course, Shraddha Desai, PhD (former Duke postdoc and president of DUPA; current Project Manager I, Clinical Project Management, INC Research) will discuss the principles and practice of clinical trials management in contract research organizations (CROs). CROs hire PhD scientists who are interested in translating their expertise to real-world, clinical solutions. – Complete a hands-on CRO industry assignment: analyze a clinical study and prepare a management plan. SPEAKER: Shraddha Desai, PhD, is Project Manager I, Clinical Project Management, at INC Research, where she works on Oncology and HemOnc Clinical Trials. Shraddha is experienced in all aspects of clinical trial project management processes including developing project plans; regulatory authority submissions; site and study management; budget management; investigator recruitment and feasibility; safety; TMF reviews and audit preparation; and supporting medical monitoring and patient recruitment teams. Shraddha received her PhD in Biochemistry from the University of South Florida and did a postdoc in the Duke University Department of Medicine-Oncology. Shraddha is past President of the Duke University Postdoctoral Association (DUPA) as well as past President of the Graduate Women in Science (GWIS) RTP chapter. In this limited-enrollment talk, alumnus Kenneth Kornman, DDS, PhD, Chief Scientific Officer at Interleukin Genetics, shares his experiences drawn from a career that spans faculty roles in academia as well as small life sciences companies. Lunch provided; please bring a beverage to enjoy. SPEAKER: Prior to founding Interleukin Genetics in 1986, Dr. Kornman was a Department Chair and Professor at the University of Texas Health Science Center at San Antonio. He has also been a consultant and scientific researcher for many major oral care and pharmaceutical companies. Dr. Kornman currently holds academic appointments at Harvard University. He holds seven patents in the pharmaceutical area, has published three books and more than 125 scientific papers, including papers in Science, New England Journal of Medicine, Human Molecular Genetics, and Journal of American College of Cardiology; and has lectured and consulted worldwide on the transfer of technology to clinical practice. Dr. Kornman earned a BA in Economics from Duke University, a DDS from Emory University, an MS in Periodontics from the University of Michigan, and a PhD in Microbiology and Immunology from the University of Michigan. In this free online panel discussion, panelists are ABDs and PhDs from STEM fields who have made the transition to careers in conservation. Panelists introduce themselves on Monday and take questions all week. You can interact with panelists through the discussion forum or follow the conversation via email. All questions welcome, from the most general to the very specific. In this free online panel discussion, panelists are ABDs and PhDs from STEM fields who have made the transition to careers in think tanks. Panelists introduce themselves on Monday and take questions all week. You can interact with panelists through the discussion forum or follow the conversation via email. All questions welcome, from the most general to the very specific. How can research in the humanities and social sciences make a difference, both inside and outside the university? How can PhD students use their skills and experience to write for different audiences? Join us for a panel discussion with Jacqueline Looney, Senior Associate Dean for Graduate Programs and Associate Vice Provost for Academic Diversity; Ed Balleisen, Vice Provost for Interdisciplinary Studies; and Eladio Bobadilla, PhD candidate in History. They’ll discuss their writing lives, the challenges and opportunities of writing outside the academy, and why writing matters. Light lunch served at 11:15 am. This conversation is co-sponsored by the Faculty Write Program, The Graduate School, the Forum for Scholars and Publics, and Duke University Libraries. Humanities and Social Science PhDs with strong fluency in two languages can find satisfying work as translators. Either employed by an organization or as freelancers, PhDs translate a wide variety of documents. If you are fluent in any two languages, you can probably be a translator. Versatile PhD hosts this free web-based asynchronous panel discussion about careers in translation. You can interact with panelists throughout the week on the site, or follow the discussion via email. All questions welcome, from the most general to the very specific. Back by popular demand! Dara Wilson-Grant presents her highly-rated workshop on how to choose the right career. This workshop will help graduate students and postdocs understand what makes a career the right or wrong fit, and provide them with a framework for choosing a rewarding career path. Through a series of self-assessments and small group activities, participants will have an opportunity to identify and explore key factors that contribute to career satisfaction. This is an ideal workshop for postdocs and graduate students who are contemplating a career change or looking to further clarify their career direction. Class size is limited to 25 participants to facilitate small group discussion. Registrants must be postdocs and graduate students in the social sciences and humanities (a separate workshop will be held for postdocs and graduate students in the sciences and engineering on Fri Oct 14; see preceding section for details). Because space is limited, please do not register unless you are sure you can attend. This panel discussion features PhDs from social sciences and humanities disciplines who leverage the teaching and mentoring skills they developed in graduate school daily while working in business environments. Learn how they translated those skills for potential employers during the application process and leverage those skills in their current roles. What research-focused jobs are available for social sciences and humanities PhDs? Our panel will feature professionals who leverage their research expertise in their current roles. Learn how they navigated the application process to find their current positions and what the typical workday of a researcher looks like. Graduate students and postdocs preparing to compete in the non-academic job market commonly ask, “How do I prove that I am qualified, even though I do not have experience outside academia?” The key is learning how to translate your graduate education and postdoctoral training into a language that is understood beyond academia. Dara Wilson-Grant will help graduate students and postdocs identify their core strengths and learn specific strategies for communicating their skills and experience to a broad audience via the cover letter and resume. Participants will also gain insight into the skills and personal traits most desired by employers. Class size is limited to 25 participants to facilitate small group discussion. Registrants must be postdocs and graduate students in the humanities and social sciences (a separate workshop will be held for postdocs and graduate students in the sciences and engineering on Fri Oct 28; see preceding section for details). Because space is limited, please do not register unless you are sure you can attend. In this free online panel discussion, panelists are ABDs and PhDs from Humanities and Social Science fields who have made the transition to careers in cultural resource management. Panelists introduce themselves on Monday and take questions all week. You can interact with panelists through the discussion forum or follow the conversation via email. All questions welcome, from the most general to the very specific. In this free online panel discussion, panelists are ABDs and PhDs from Humanities and Social Science fields who have made the transition to careers in think tanks. Panelists introduce themselves on Monday and take questions all week. You can interact with panelists through the discussion forum or follow the conversation via email. All questions welcome, from the most general to the very specific. Non-academic employers typically request that applicants provide a focused 1-2 page resume instead of a more exhaustive CV. What are the essential accomplishments to include in a resume? How do you identify the relevant qualifications that highlight the best of what you have to offer? In this workshop you’ll learn how to write a focused, tailored resume that creates a compelling depiction of your significant skills and experiences. So you uploaded your resume and cover letter to your target organization – what happens next? In this panel discussion with human resources (HR) managers from SAS, Research Triangle International (RTI), and the US Environmental Protection Agency (EPA), we will learn how HR professionals screen and sort applicants, and how to make your application stand out. Our panelists represent employers in government, industry, and not-for-profit sectors. – Describing your skills and experiences in a way that translates across disciplines, industries, and career fields. – Tailoring and organizing your information with the reader in mind. – Choosing the right format, layout, and style. Graduate students and postdocs are investing several years of their lives into their training. But what do they want to gain from them? What career path are they preparing themselves for? Given that a vast minority of students and postdocs will end up becoming academics, this training period is all about BYOB: Building Your Own Brand. What do students and postdocs need to learn, experience, and develop in order to be the professionals they want to be? Many postdocs and grad students have difficulties answering these questions because they don’t know exactly what they are passionate about or where their true talents lie; or maybe they suffer from forms of the “Impostor Syndrome”: self-doubt, self-sabotage, anxiety, or a lack of confidence. Learn a step-by-step approach to explore and evaluate career options. Articulate a big-picture vision of what an inspiring career looks like to them. Identify their unique skills, talents, and character traits that will make them succeed at that career. Discover how to hear their inner voice of passion, and use it as a compass. Draft a blueprint for a successful graduate education, by their own definition. This workshop gives participants the ability to systematically identify and pursue a career that ignites their passions and talents, whether that is in academia or beyond. Participants leave the workshop with a sense of confidence that they can and will find a career that is right for them. SPEAKER: Leveraging her background in Biological Engineering (MIT PhD, 2008), and career and life coaching (2007 – present), Dr. Sutton offers a toolkit that uniquely combines scientific inquiry, engineering design principles, and coaching accountability and insight. Dr. Sutton has coached thousands of individuals at institutions including Stanford Medical Center, Yale, CalTech and MIT, companies like Google and Pratt & Whitney, and organizations like Society For Neuroscience, American Women in Science (AWIS), Association of Underrepresented Minority Fellow (AUMF), and Women Entrepreneurs in Science and Technology (WEST). How can you capitalize on the skills you’ve developed through the many hours you’ve devoted to teaching so that you can position yourself for success in industry, government, nonprofit, or alternative academic careers? This interactive workshop will help you identify the transferable skills you’ve cultivated through your teaching and mentoring experiences and market them effectively in your application materials. Whether you’re considering a career beyond academia or would like to be an effective public scholar as a future faculty member, you’ll need to be able to share your research with a wide audience. Dr. Tovah Klein, a Duke psychology PhD alumna, has used her research on young children as a faculty member at Barnard College, Columbia University and Director of the Barnard College Center for Toddler Development to develop a popular following as an expert on toddlers. Her appearances on “Good Morning America” earned her the nickname “toddler whisperer.” She has also appeared on CNN, ABC, CBS, NBC, in The New York Times, The Wall Street Journal, The Washington Post, Parents, Slate.com, Huffington Post, and Psychology Today, and was a developmental advisor for Sesame Street. In this talk, she will share her stories and strategies for translating academic research for a lay audience.